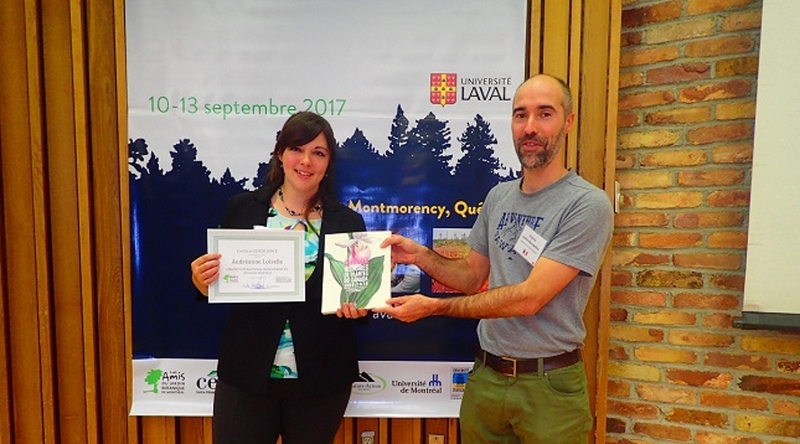 ÉCOVÉG13, the International French-language Conference in Plant Ecology, took place from 10 to 13 September 2017. Our congratulations to all prize winners, including Audréanne Loiselle who won for best poster. She is doing her M.Sc. with Stéphanie Pellerin.